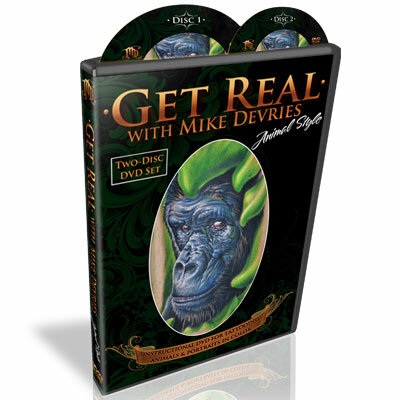 This is Mike's new two-disk DVD that really outdoes his previous instructional DVD. This one features: higher all-around quality, more camera angles, better music, and essentially real-time editing. The informative instruction covers topics such as: Photoshop techniques to apply to tattooing, placement, stenciling, set-up, machines, needles, Mike's palette and ink choices, color mixing; and most importantly, up-to-date tattooing techniques that encompass what Mike does best. Total running time: Disk 1: 3hours 38 minutes; Disk 2: 3 hours 13 minutes.